Anihan Technical School is a project of The Foundation for Professional Training, Inc. (FPTI). Established in 1986. DONATE TO THE ANIHAN EXTENSION BUILDING PROJECT. Click here for details. 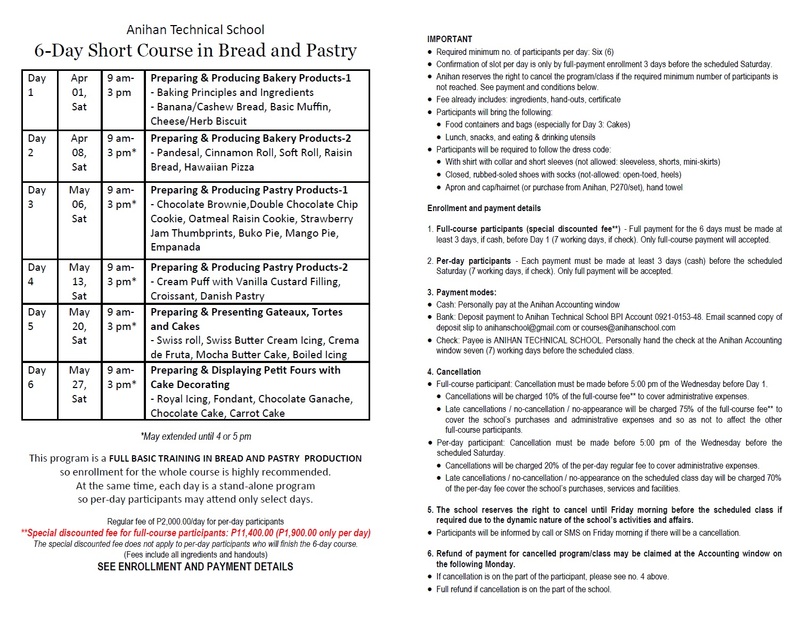 Enroll now in Anihan's Short Course in Bread and Pastry for April to May 2017. 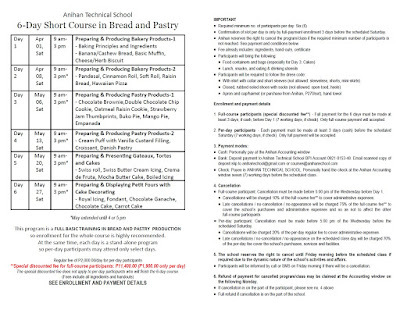 Read the flyer below for the course details as well as the updated enrollment and payment requirements. Left-click image to enlarge. To save, right-click and choose "Save image as". Every time you buy Anihan Goodies, you help send young Filipinas to school! DONATE TO THE ANIHAN SCHOLARSHIP FUND AND HELP BUILD LIVES! Please make checks payable to ANIHAN TECHNICAL SCHOOL. © Copyright 2008-2017 by ANIHAN TECHNICAL SCHOOL. All rights reserved. Simple theme. Theme images by kamisoka. Powered by Blogger.